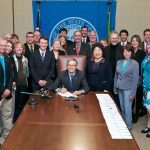 Governor Inslee Signs Dead Red Bill into Law! On Friday morning Governor Jay Inslee signed Substitute Senate Bill 5438 – the Dead Red Bill – into law. It becomes effective in 90 days. That was quick! 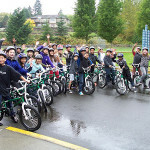 Just the week following SSB 5438’s final vote in the State House of Representatives, Governor Jay Inslee signed a top priority of bicycle riders who experience the frustration of getting stuck at a broken red light. Prior to his signature, Governor Inslee remarked, he too had to deal with a broken red light the night prior while on a ride with the Capital Bicycle Club. SSB 5438 follows legislation passed in 2014 allowing for motorcycles to stop and proceed or make left-hand turns through traffic control signals that do not detect motorcycles under certain very limited conditions with a specific protocol that is clear and understood by law enforcement. SB 5438 also builds upon legislation passed in 2009 and led by Washington Bikes, with the help of the Washington Road Riders, that requires all jurisdictions to make traffic signals detect bicycles and motorcycles (subject to the availability of funds), if they are undergoing maintenance (also, with priority to complaints made), and if they are installed after July 26, 2009. Washington Bikes thanks Senator Curtis King (R-Yakima) for his sponsorship of SSB 5438 and continuing support of legislation that improves predictability and gives bicycle riders a clear protocol for dealing with faulty transportation infrastructure that doesn’t detect their bikes. Thx @GovInslee & #waleg for bill to address broken red lights. I’m w/@WAbikes on this. And always, if you get stuck at a red light, call, email, or Tweet it in to the city, county, or state transportation department in charge so they can fix it according to state law. 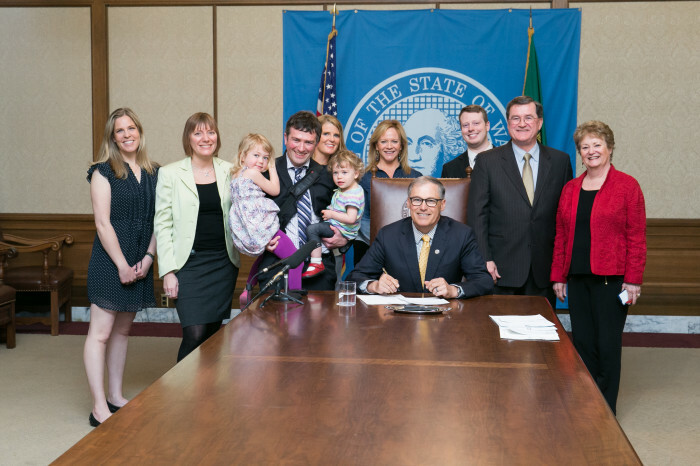 Watch Governor Inslee’s signing remarks and SSB 5438 get signed into law on the TVW feed below! This article was posted in Advocacy, Funding/Policy, Infrastructure, Issues & Advocacy, Legal, Legislature, News, Politics, Transportation. Bookmark the permalink. Follow comments with the RSS feed for this post. Both comments and trackbacks are closed. Kind of disappointed in this actually. Why this half-measure? Pass an “Idaho Stop” law and do it right! (I cycle in ID and WA, so I know it works from experience). Excellent! Thanks, Blake, and everyone! !